Ringo and Joe became related last December when Marjorie Bach, the sister of Ringo's wife Barbara Bach, married in Los Angeles. It was Joe's 4th marriage. Ringo mentioned this at the press release for his new album, Y Not. He also said Walsh will be playing guitar on Y Not. Others in the band include Dave Stewart and longtime Roundheads member Steve Dudas on guitar, Benmont Tench of Tom Petty and the Heartbreakers on keyboards, Don Was and Mike Bradford on bass. Due in January. "Ringo was a star in his own right in Liverpool before we even met. Ringo was a professional drummer who sang and performed and was in one of the top groups in Britain, but especially Liverpool. So Ringo's talent would have come out one way or the other. I don't know what he would have ended up as -- whatever that spark is in Ringo, we all know it but we can't put our finger on it. Whether it's acting, drumming, or professional singing, I don't know. There's something in him that is projectable and he would have surfaced as an individual." 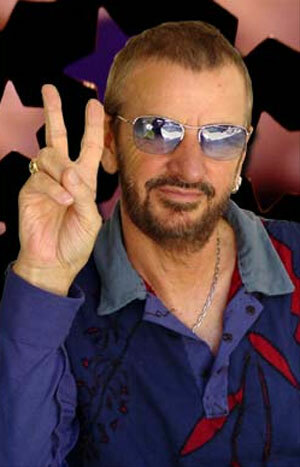 Ringo has it sussed with this webstuff, be sure and check his update videos. At seventeen, he joined the Eddie Clayton Skiffle Band. In 1959, Ringo hooked up with the Raving Texans AKA Rory Storm and the Hurricanes. On August 18, 1962, Ringo officially became a Beatle. In 1970, Ringo released Sentimental Journey, The following year Ringo released Beacoups of Blues, recorded in just 2 days. That same year, the Beatles broke up. 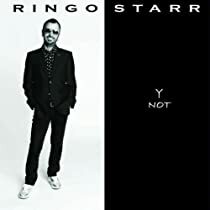 In 1973, Ringo released "Ringo" which marked the first time since the breakup that all the Beatles participated in the same project, though not at the same time.